While this can be a beautiful thing, it does sometimes make it difficult for a woman to learn what she needs to know about applying makeup. This is especially true for women age 30 and over, because makeup needs change with age. Read on to learn how to apply your makeup like a professional and what special steps you should take at different ages in your life. Your skin is the foundation that your makeup sits on. Clean it before applying your makeup, and use a moisturizer after washing. Make sure that your face is thoroughly dry before you begin, or you will wind up with blotchy, uneven makeup. Once you have let it dry then you can apply foundation and concealer. You should also take good care of your makeup brushes. Wash them once every week, without fail. This will not only prevent color mixing that can throw off your whole look, it will also prevent acne-causing bacteria from building up in them. One of the best things you can do for your skin is the new Intraceuticals Oxygen Infusion Facial. Wedding magazine calls it the “Bridal Facial”, celebrities call it “The Fountain of Youth”. It’s the most inexpensive facial treatment that delivers instant results with absolutely no downtime. Click Here to learn more. There are many different ways to apply makeup, but if you really want to make your features stand out to their best effect, then you need to learn contouring, which enhances your natural beauty. 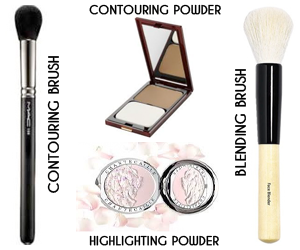 You will need contouring powder that is about two shades darker than your foundation is. You will also need highlighting powder that is a shade lighter than your skin. 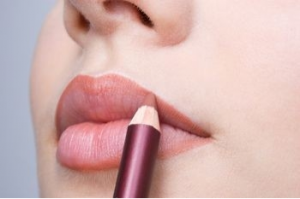 Using a small brush, apply contouring powder to both sides of your nose. Then apply highlighting powder down the front of your nose. Once you have finished these steps, use a clean large brush to blend everything until you achieve a natural look. The first mistake that every teenaged girl makes when they start wearing makeup is using too much of it. Makeup is supposed to enhance your features, not replace them. To help yourself keep it simple, set a strict five minute time limit. If you can’t apply your makeup in five minutes then you are probably using too much of it. If you haven’t figured out a look for yourself yet, stick to using just foundation, mascara, blush, and lipstick or lip gloss. If you are in your thirties, then chances are that your skin has started to show signs of sun damage such as fine lines and dark spots. Even if these signs are small, using anti-aging products on them now will help keep them from becoming more noticeable in your forties. You should also use eye cream on a daily basis for the same reason. Use an illuminating foundation to replace some of the natural glow that your skin may have lost, but don’t go overboard with it. Keep the blush light, and use neutral colors. In your forties you should use a creamy cleanser in the morning and at night and follow it with moisturizer. 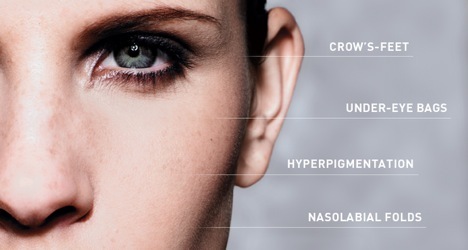 Use concealer to hide blotchiness and other forms of skin damage. Use a tinted gloss to give your lips a more youthful look. Brown, silver, gray, or purple eye shadows are best, and blush should be lightly applied. If your eyebrows are looking thin then avoid filling them in with heavy eyebrow pencils. That would produce a very unnatural look. Instead, use eyebrow powder. Use a lighter foundation to keep it from caking up in your lines and wrinkles, making them more visible. Your concealer should also be lighter. In fact, all of your makeup should be minimal. Light eye shadow colors such as pink and lilac are usually best. Avoid using darker colors that might draw attention to fine lines.